Premier One is a Charleston, South Carolina based real estate agency that recently overhauled their online portal. The owners added advanced MLS search tool in the portal. Charleston SC - Premier One, a Charleston based real estate agency that works for both buyers and sellers to facilitate real estate transactions, recently added an advanced MLS search tool in their online portal. The owners said that the new search tool would facilitate deep real estate research. They added that anybody could easily use the new search functionality, from a simple zip code format to more complex advanced search filtering search tool to quickly find and shortlist the Charleston properties that would fit their requirements. “MLS or Multiple Listing Service is the easiest way to retrieve data about any particular property listed with us or any other real estate agency. People can just enter a few details such as the area of their preference, number of bed rooms, area in square feet, set minimum price and maximum price and get details of all the properties meeting the specifications”, said Tom, a top real estate broker working withPremier One . The owners said that from now on, interested buyers can also chat live with their real estate agents online to get quick tips and tricks and latest real property market trends easily. They maintained that map search and home valuation online services are also two of their highly popular services at this moment. “Everyone can find their dream real property with our specialized services. Anyone interested can visit us or contact our real estate agents to get more details about how to do an MLS search”, added a top executive. 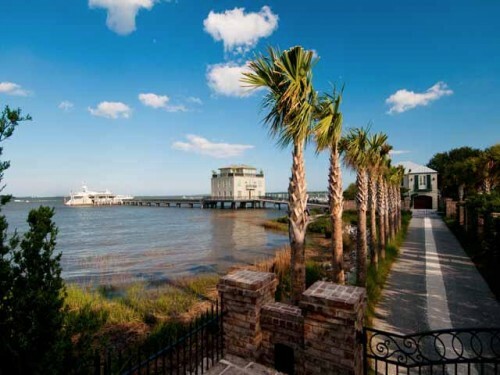 Premier One is a renowned real estate agency that operates in and around Charleston, South Carolina.